The museum is currently housed in the Palace of St Michael and Saint George which was built as a residence for the British High Commissioners. 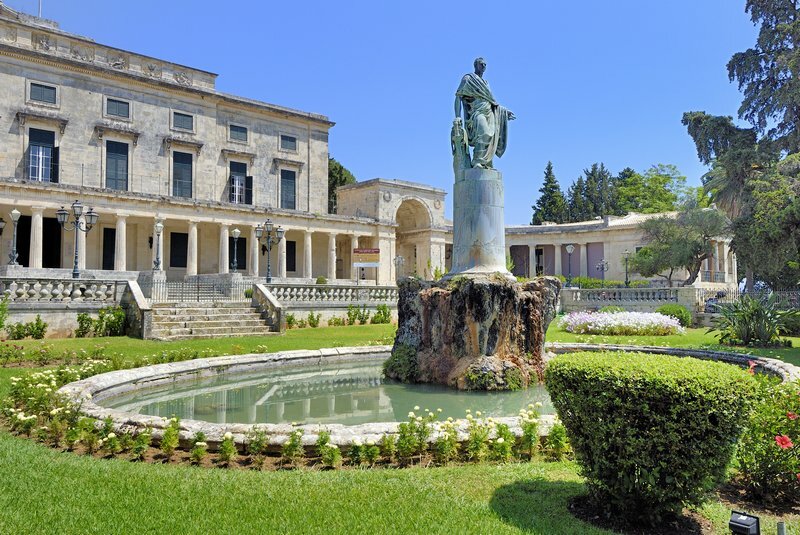 The building was designed by the British architect Sir Whitmore and has 32 distinctive columns forming connecting arches and is built entirely of Maltese stone and is located close to the Liston and Old Fortress in the centre of Corfu Town. After the departure of the British in 1864 it was used by Greek royals as a summer residence. In 1994 the European summit was held here. The remarkable collection of Asian Art consists of around 15,000 oriental artifacts. Chinese tomb sculptures, pottery and ceramics some of them almost 3000 years old, are just part of the collection. In addition there are exhibits of oriental screens, silk and ivory from Japan, Thailand, Nepal, Tibet, Korea and India plus an interesting collection of post-Byzantine Christian Art.